Almost from Scratch Homemade Pumpkin Pie! 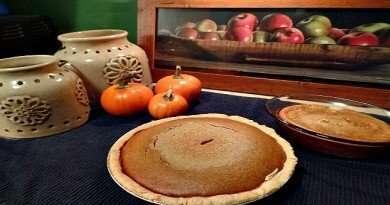 We made homemade pumpkin pie from a pumpkin, not a can! Yes, I know. All of you great cooks out there are shaking your head. But I am so proud of myself and my daughter. We actually made a homemade pumpkin pie, roasted that pumpkin, and the whole nine yards! It was so fun to cook with my daughter. She is more adventurous than I am about trying something different. I learned a lot cooking with her. My grandson helped too. Now before I get carried away with this, I confess I am challenged when we get to making a crust. So that is where the boxed pie crust mix comes in. Well, it’s kind of still from scratch sort of. I had to mix it up, and press it in with my own hands! Yes, I still can’t roll out a crust. I have ended up with a rolling pin with pie dough stuck to it, or a flour-powdered pile of scraps to throw in the garbage pail. If you don’t want to do that just buy the pie crust ready made and rolled out. That is a wonderful innovation too ! See more Easy Recipes here. Anyway we bought the smaller pumpkin which is for making pies. I think this variety is called Sugar Pie! I learned that smaller pumpkins are grown sweeter for pies, and the larger pumpkins for Jack O’Lanterns are for carving. The larger pumpkin will be stringy and need a lot more sugar if you use it. Remember to get a little one, you hear? Yes, I learned too. Who knew? First of all, bake the pumpkin in the oven. 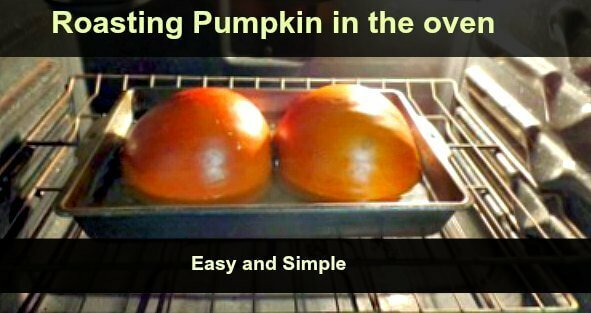 Wash it, slice in half, clean out the inside of its seeds and “intestines.” Then place it cut side down in the oven and bake for 45 minutes at 350º. It will be done when you push on the outside and it seems softened. After cooling it until you are able to handle, scrape out the flesh into a bowl. You can drain the flesh if it seems too watery, but it is not necessary. Then measure 3 cups of this pumpkin pulp into a blender. We used our Ninja Professional Blender. 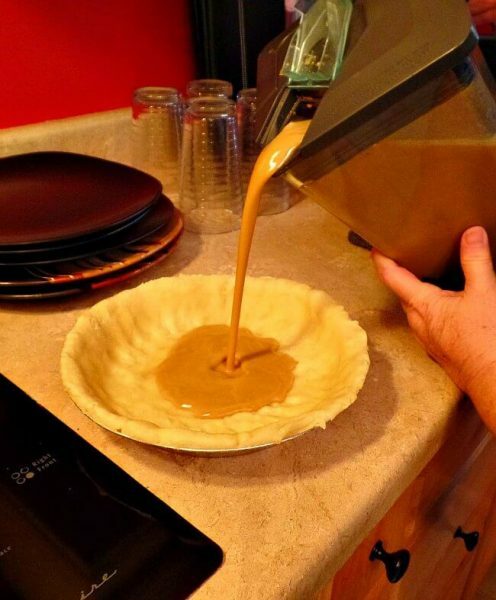 It is awesome for pie making. My daughter has it for breakfast shakes and other cooking needs and it is awesome. She liked it so much, I got my son his own. And this is perfect for them because they are really into the stainless steel look! Blend the pumpkin, evaporated milk, sweetened condensed milk, spices, eggs, until smooth. Then mix up the pie crust mix ( if you are doing this the lazy way like I do) and press it into a pie dish or pan. You can press this out until fairly even on all sides, pushing it up into the sides too. I use the entire box for the one pie shell. Yeah, I am that challenged. Yet it makes a nice thick , fluffy and flaky crust. After it is pressed in, use an edge of a spatula and quick-scrape the outside rim to even off the edges. Then pop the crust into the oven at 350º for 10 minutes to “set” the crust. You want it flaky, right? By this time you may have a mess to begin cleaning up. My daughter is very obsessive about this. She cleans as she goes. Maybe it is because she knows she needs to have it cleaned up quickly as she is going to go to work next morning and sometimes have to work 10 hour days. Such is the life of a Mommy who works outside the home. Pour the filling into the crust and make sure you fill it up. The pie swells slightly, but you don’t have to worry about it boiling over as you would with a berry pie. Bake at 450º for 15 minutes, then turn the oven down to 350º for about 45-50 minutes. 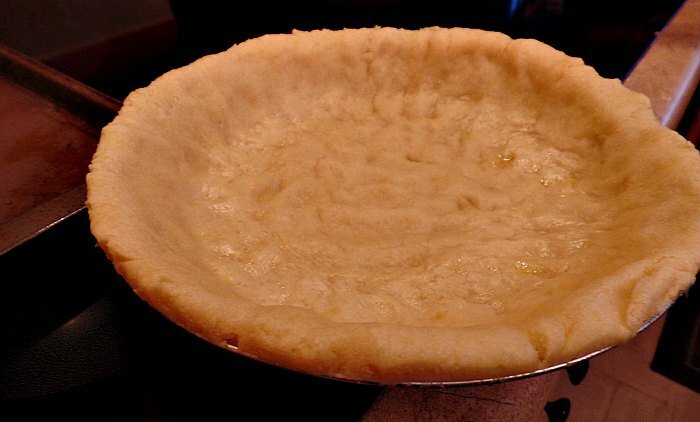 When you feel it is done, carefully stick a knife blade into the center of the pie. If it comes out clean, it is done. If pumpkin stick to it, it needs a few minutes longer. This is the finished product with even the poke mark where we tested it with a knife. and there is a little left-over filling which we baked in a separate dish. Filling is good alone with ice cream….Mmmmm! 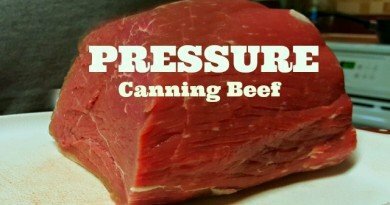 So try this recipe and you just can’t go back to canned pumpkin. And think of all the bragging rights! 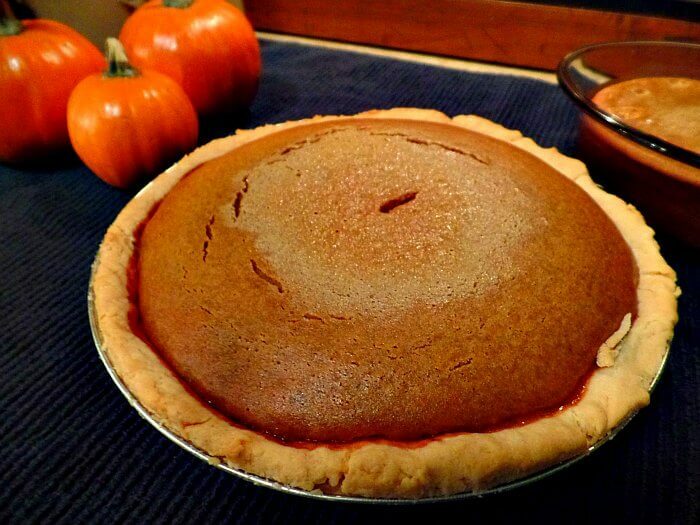 A real Homemade Pumpkin Pie. And we can keep the pie crust “ancient family secret” to ourselves, OK? 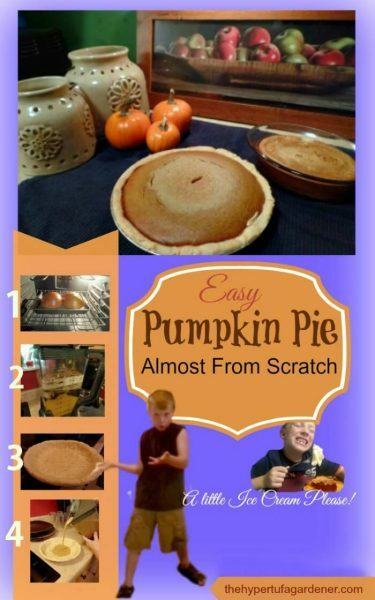 Enjoy your homemade pumpkin pie from almost scratch! A rich and delicious pumpkin pie. If you go off your diet occasionally, this is THE Occasion. Prep crust using whole box for single crust. Press into greased pie pan with fingers. Easy & simple. Preheat oven to 425º then bake crust for 10 minutes to set. Remove to cool. 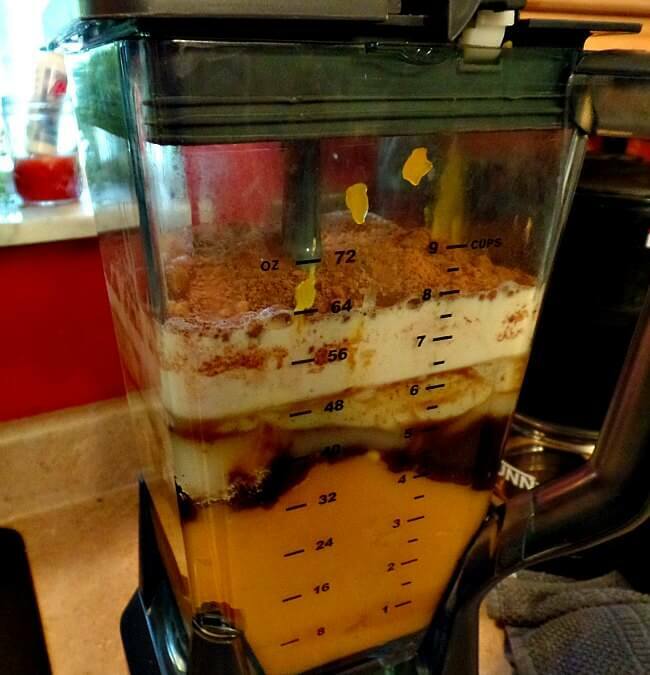 Put pumpkin puree, brown sugar, spices, eggs, and milks into blender and puree for 1 min til thoroughly mixed. Pour into pre-baked crust. Makes enough for one deep-dish pie or 2 small pies. You can bake leftover mix in a small baking dish for a no-crust dessert! Bake for 15 minutes at 425º then reduce heat to 350º and bake for 45-50 minutes until knife inserted in middle comes out clean. Cool, refrigerate, then slice and serve with whipped cream or ice cream. Enjoy the praise from everyone! 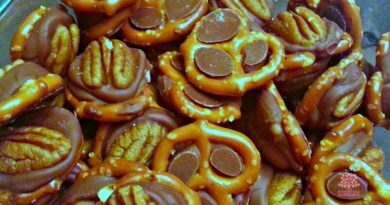 Easy Recipes: Rolo Turtles or Doggie Paws, Kitty Paws?